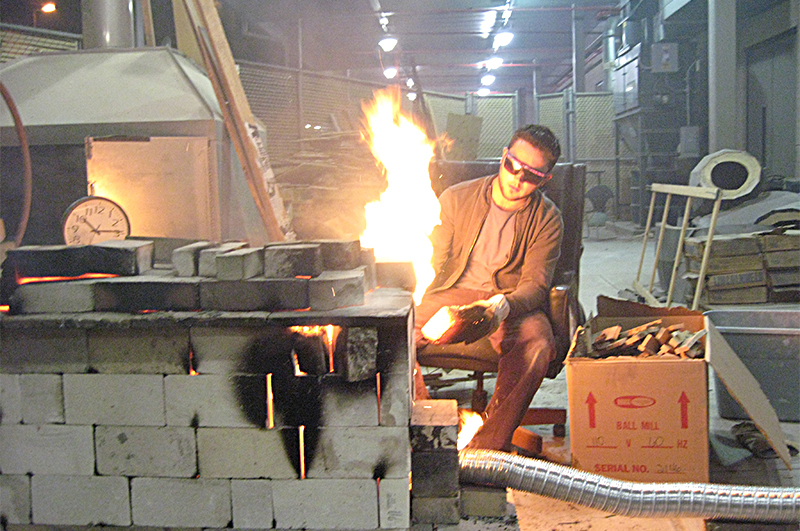 The Undergraduate Craft and Material Studies program at Purdue provides students with not only a solid foundation of the broadest range of technical skills in materials associated with traditional 3D craft fields, ceramics, metals, textiles, but also with the expectation of working within the fine arts or design fields. The program is both inclusive and expansive, combines both the traditional and the non-traditional methods and materials. 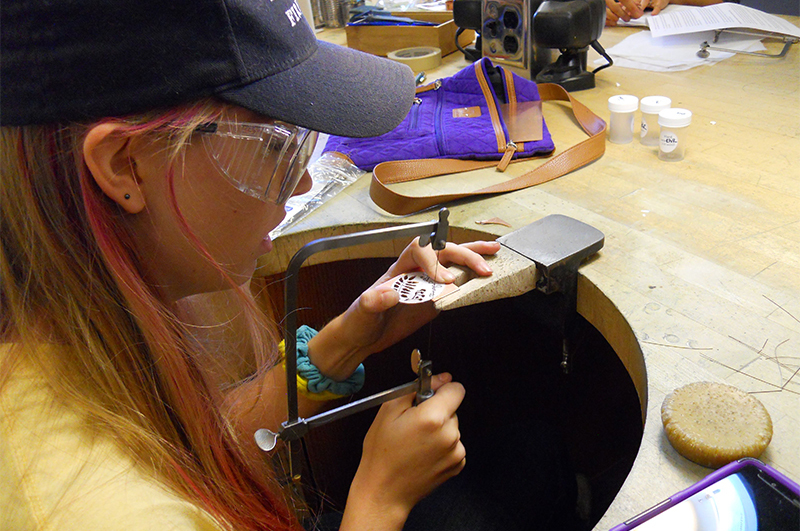 In addition to achieving technical mastery in their own 3D area or areas, students are encouraged to follow interdisciplinary paths and explore areas in painting, drawing, printmaking, video, photo, electronic media and performance. Conceptual skills, aesthetic awareness, critical thinking and the ability to explore an individual creative path are emphasized. 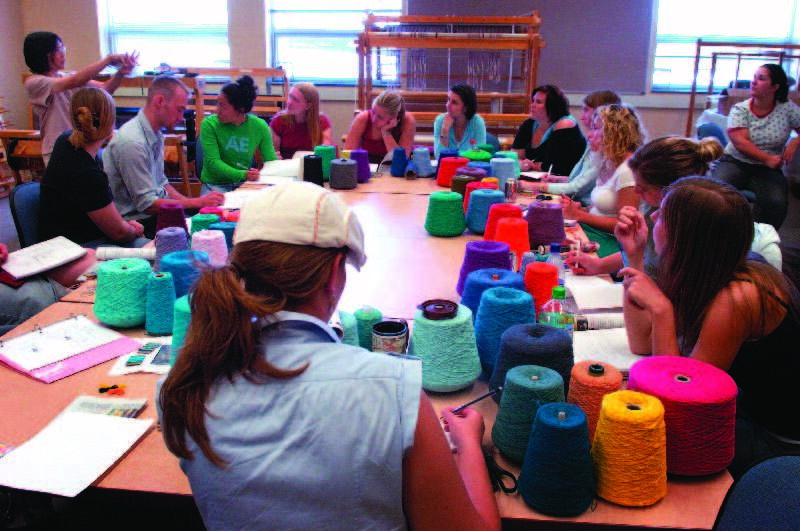 The freshman year in the Craft and Materials Studies program consists of the integrated Studio Arts foundation experience that introduces students to a variety of the foundation principles of artistic production and media (from 2D to 3D to time-based and interactive forms), and the history of art. 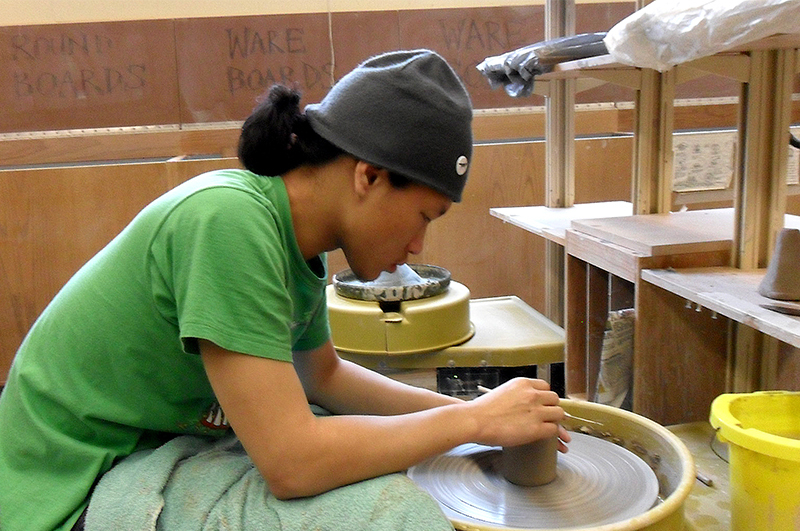 With the skills acquired in foundation classes Craft and Material Studies program students start working on both their technical skills and artistic production in their core classes in ceramics, jewelry, textiles and sculpture, effectively preparing them for their sophomore review at the end of their sophomore year. 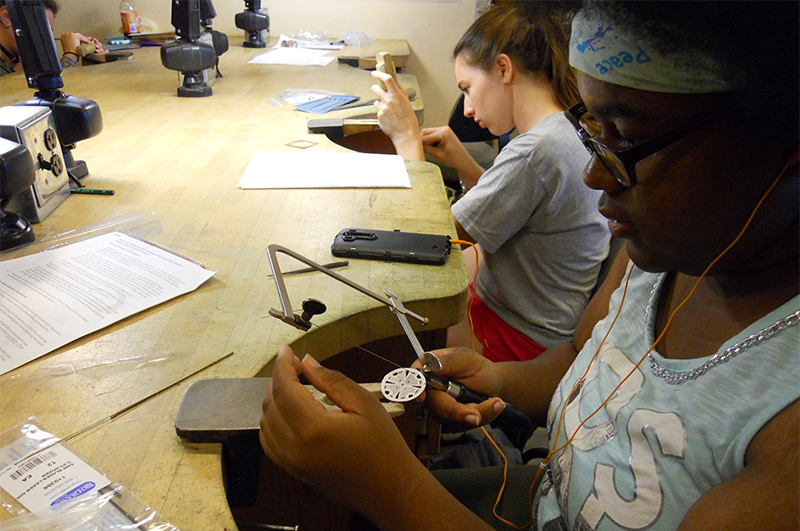 In the last two years of study, students are expected to have a solid technical grasp of their chosen area or areas, and to begin to build a cohesive and intellectually challenging, conceptually-based body of work. 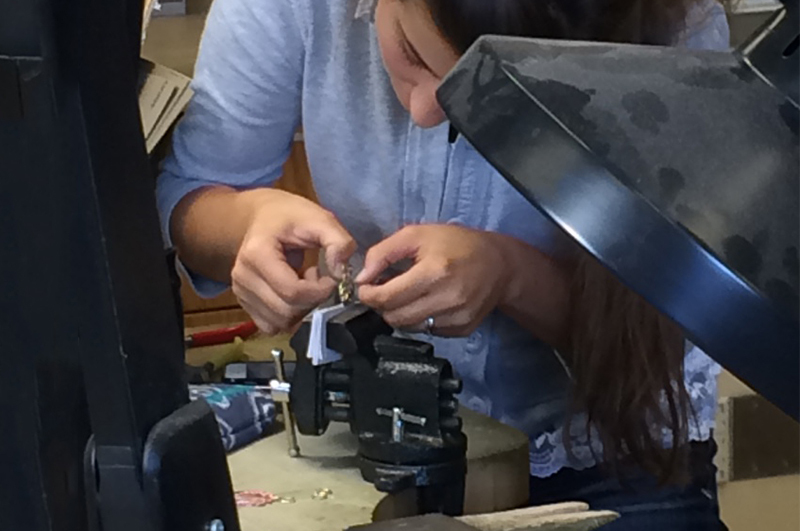 The work should begin to show a significant degree of growth, individuality, accomplishment and aesthetic awareness. 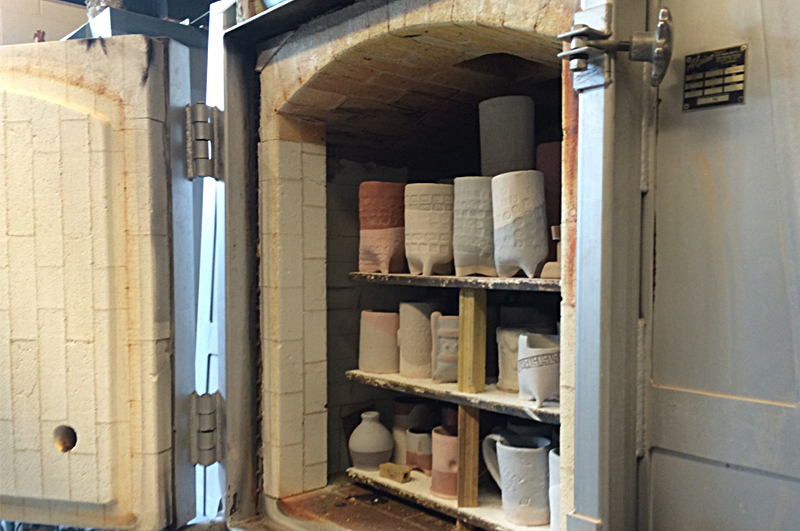 In the spring of their senior year, the Craft and Material Studies student will join students from other areas in the Integrated Studio Arts disciplines in the capstone experience Senior Exhibition which is held in the Rueff Galleries. This experience includes classroom time discussing resumes, documentation of work, applications to jobs and graduate programs, and culminates in the exhibition which provides students with the ability to design, produce and exhibit their work as a group.